Greetings to my friends in music video land! It’s Andy Gesner and the staff from HIP Video Promo, here with a brand new clip for a classic track. Think you know your alt-rock history? Nirvana may have grabbed the headlines, but it was Mudhoney who put grunge – and the Seattle scene – on the map. To many, they’re still the quintessential Pacific Northwest rock band: bruising, uncompromising, darkly humorous, fuzzed-out, stealth-articulate, dangerously loose. 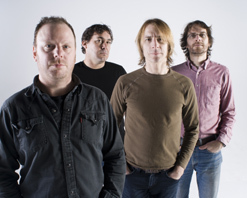 Mudhoney fused Sixties garage rock, Seventies distorted-guitar wattage, and raucous, inebriated Eighties punk, and in so doing, they pointed the way forward for countless alternative bands. It’s no coincidence that Michael Azerrad chose to write about Mudhoney as his representative Seattle group in This Band Could Be Your Life. Few bands truly deserve to be called groundbreaking. Here’s one of them. If Mudhoney kicked off the alternative rock revolution, “Touch Me I’m Sick” was the shot heard round the world. The 1988 single release was the first for the Seattle four-piece, and it sent shockwaves through the underground and established the band as underground hitmakers. Nothing at the time sounded anywhere near as raw or as immediate: it made the popular metal bands look tame by comparison. “Touch Me I’m Sick” became the song that all the Seattle groups strove to emulate – the template for the sound that would take over the airwaves in the Nineties. The Superfuzz Bigmuff (named for the band’s two favorite distortion pedals) collection soon followed, and the EP is now considered a stone classic and a must-hear for anybody interested in understanding the roots of the alt-rock movement. Now, twenty years after that initial salvo, SubPop Records is releasing a deluxe edition of the debut compilation. The new version of Superfuzz Bigmuff comes in conjunction with a brand new Mudhoney set, and one that’s been hailed as the band’s strongest effort since the early Nineties. The Lucky Ones follows the confrontational Under A Billion Suns – an album on which Mudhoney took a turn toward the political – and should further cement the band’s living-legend status. In fact, listening to The Lucky Ones and Superfuzz Bigmuff Deluxe back-to-back proves how little has changed: the group still crafts irresistible riffs and indelible garage-punk choruses, they still play with utter abandon, they still sound fantastic, and they’ve still got that wicked, angst-ridden, and fatalistic sense of humor. 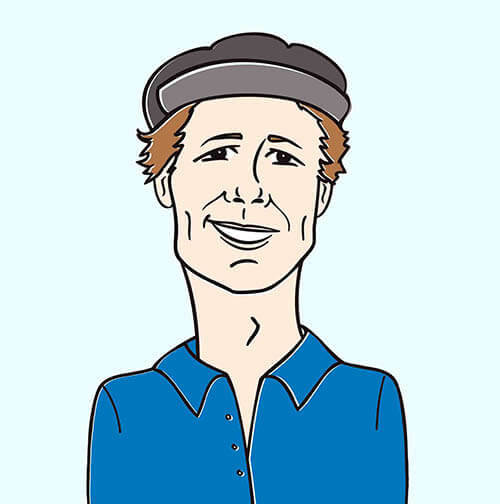 Whitey McConnaughy is a Pacific Northwest stalwart too: he directed the lead video from Under A Billion Suns, and he’s shot dazzling clips for locals The Thermals and Band Of Horses. His semi-archival clip for “Touch Me I’m Sick” finds Mudhoney in action in front of a riotous crowd, howling into microphones, pounding on their instruments, and demonstrating why Seattle punk rock is so exciting and so enduring. Any doubts about the band’s gigantic influence on Nirvana can be put to rest here: as the clip shows, the firm of Cobain, Novocelic, and Grohl took more than a few of their world-historic moves from Mudhoney. We’re thrilled to be able to pair with SubPop to introduce a whole new generation to a timeless track that’s already been recognized as one of rock’s greatest and most epochal. It is an honor and a privilege to be working once again with Lacey Swain and all the fine folks at Sub Pop to bring you this revamped classic from Mudhoney. We are replete with copies of The Lucky Ones, so drop us a line for all your on-air giveaway needs! Also look for the band as they tour the country all throughout June and July; we would love to set you up with a video interview and video IDs when the band comes through your market. If you need more info, call Andy Gesner at 732-613-1779 or e-mail us at HIPVideo@aol.com. You can also visit www.SubPop.com or www.Myspace.com/Mudhoney to find out more about Mudhoney.